Hey, the holidays are almost over, but the fun of High-fives is year round. Besides, this is one song you haven’t heard enough of this year. Come meet the Krampus… stream and listen as you like and download as a pay-what-you-can file all here at our BandCamp page. 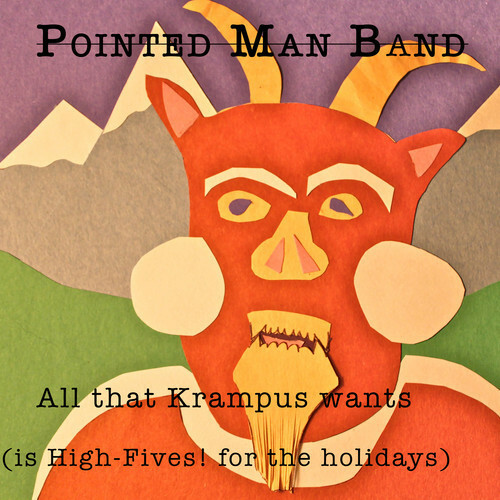 Its not too late to enjoy some home-brewed holiday fun with Pointed Man Band and your little ones. Check it out!